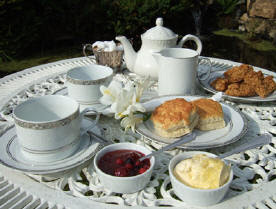 The Culinary Gadabout: England's Top 10 Foods? The Times of London Online had an article yesterday by writer Simon Majumdar, who has been traveling in the UK for research on an upcoming book about the food of England, Scotland, Wales, and Ireland. Never heard of Parkin or Black Pudding? They’re all described in the article, which you can check out here (although I'm still in the dark about Parkin). To learn more about England's regional foods, visit my website. Cool! I went to England this February with my grandma and we had a blast!